Parksville’s Sand Sculpting Competition history dates back to 1982, when we hosted our first “B.C. Open”. A total of 100 people attended the first event, and it was reviewed as a “great success”. 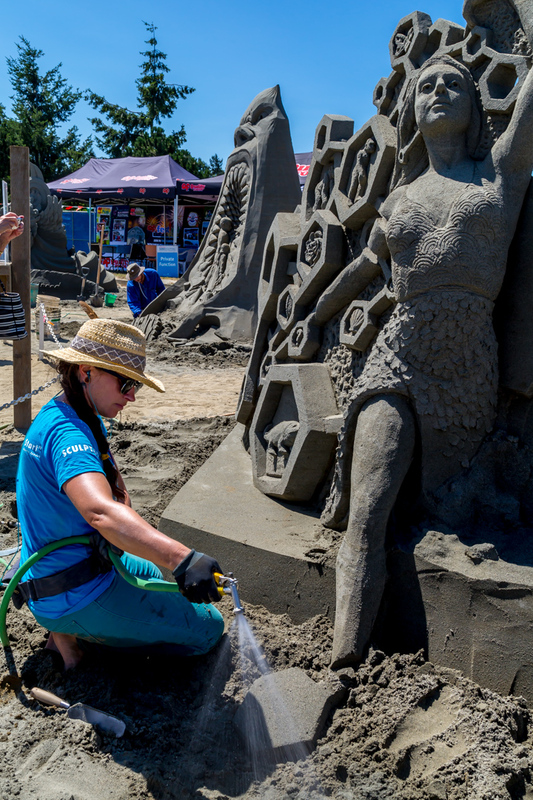 From the BC Open to its present day title “The Quality Foods Sand Sculpting Competition & Exhibition“, this event has evolved into a world class Master Sculptor competition. The Quality Foods Competition is the only competition in Canada designated as a qualifying event for the World Championship of Sand Sculpting. This designation was awarded based on our dedication to the enhancement of sand sculpting art through quality and professionalism. This will guarantee our First Place winner in the Solo and Double divisions an automatic placement in The World Championship of Sand Sculpting. Airfare, hotel, accommodations and an appearance stipend will be included. The 2nd & 3rd Place winners will have their names in a pool to be drawn upon as space permits. Over the past 35 years Parksville has welcomed visitors from all over the world to our Sand Sculpting Exhibition, located at the Parksville Community Park on Corfield Road off Hwy 19A (Exit 46). Visitors marvel at these unbelievable feats of artistry and engineering. Our competition is open to professional/master level sculptors, and draws artists from around the globe. The competition itself lasts for 30 hours over 4 days. Gates open to the public starting at 2 pm, Friday, July 13th. At this time the public can watch the sculptures “under construction”. The sculptures remain in place for five weeks following the competition. Admission to the venue is by a suggested donation of $3.00 per person. Generous donations and sponsorship – in time, effort and money from the private & corporate sectors of the community as well as many local volunteer groups combine to make this event a “SANDTASTIC” success. July & August are “Beach Festival” months in Parksville. 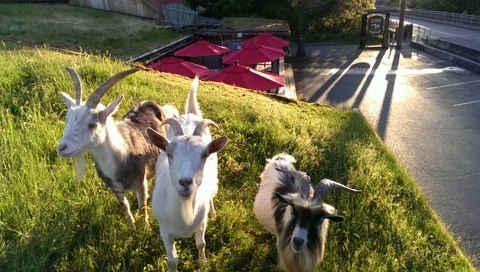 “Come early – stay late” – that’s our message to you. You won’t want to miss any of the 2018 activities taking place in the park during July and August – Coastal Community Credit Union Free Sculpting Lessons & Demos (July 14 & 15), The Lions International Kite Festival July 21 & 22, Tim Hortons Summer Concerts in the Park every Fri and Sat evening (July 20 – August 18 from 6:30-8:30pm), Art in the Park July 28 & 29, the Van Isle Shriners’ Show & Shine Car Show August 5, Coast Capital Savings Sculpture Light Up! August 10 & 11, Quality Foods Festival of Lights Fireworks August 11, KidFest and the Quality Foods Children’s Sandcastle Competition August 12. The famous Lions Adventure Park is a must for younger members of the family to visit. Tennis courts, ball parks, a lacrosse box, skate board park, covered picnic area, and a large field for kite flying are also located in the park. The beach itself offers a beautiful view with its long sandy beaches and eastern exposure; this is an ideal spot to spend a few days, or the whole summer. For a full listing of events please visit the Related Links page. Parksville Beach Festival | July 13 – August 19, 2018See you on the beach! !